Young professionals are constantly looking out to explore and keep up with their hobbies and passion along with their jobs. Traveling to that desired destination, buying that dream phone, shopping for the latest trends during the festivals, taking up those hobby classes for the weekends are some of the things which millennials are looking out for. Taking up a personal loan from the bank might not be convenient considering the busy lifestyle. Many young professionals are now choosing app only loans over traditional loans. The advantage of these online platforms is that they are quick and the process is time-saving. The loan money is disbursed quickly and there is no lengthy paperwork involved in application process. The loan application doesn’t involve any traveling to the bank or visiting any branch and spending time in the long ques. The application can be sent from anywhere as long as there is internet connectivity and scanned digital copies of the documents are ready to attach. 1. 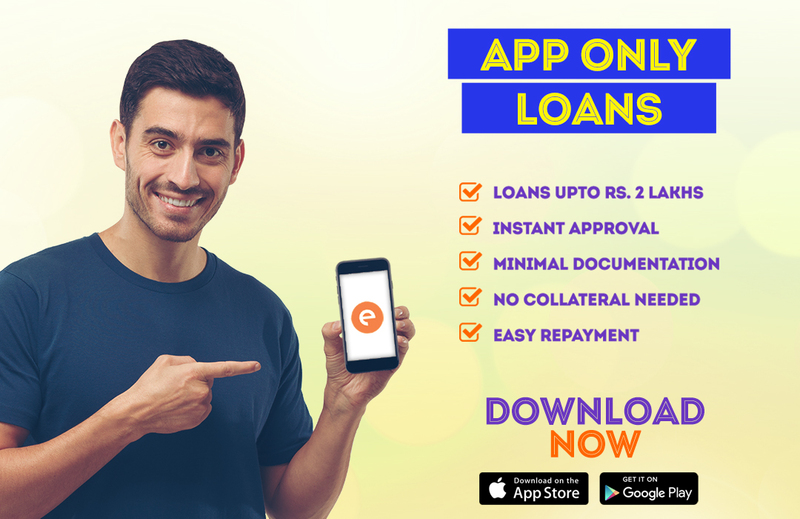 Downloading App – One needs to download the loan app on their smartphone from the Google Play Store or Apple App store. 2. Register Online – Fill in your name, address and other required details to complete the registration process. 3. Enter Loan Amount & Tenure – Once the registration process is completed, the app will ask for the desired loan amount and the duration that you would like to take this loan. People take a quick loan ranging from ₹10,000 up to ₹1 or 2 lakhs. The loan amount eligibility can be checked on the app itself. One can choose the duration of the loan as per their will. It can be 15, 30, 90, 180 & 360 days too. 1. Salaried Professional – Anyone who is a salaried employee and a resident of India can apply for such personal loans. 2. Employed with a Reputed Company – The Company you are working in should be a registered one. 3. Age – People of 23 years old to 58 years old can avail the personal loan on this app. The documents required for an app only loan are quite simple and basic. A) One has to submit their identity proof, address proof and income proof to avail the loan. Aadhar card, Pan Card, Driving License or Passport can be submitted as identity proof. B) For address proof, one can submit utility bills like electricity or phone or passport. C) As income proof, latest 3 months’ salary along with the bank statements should be submitted. Once you apply for the loan, the app will review your request and will notify you whether it is approved or not. The app takes a couple of minutes to review and once the loan is approved the money gets transferred to the individual’s personal saving account. The app only loans can get approved on the same day of application. Since the amount of such loans is small and the duration is short, the interest rate is quite competitive. The app sends alerts when the due date is close so that the users can re-pay on time. The modes of repayment are bank transfer or cheque deposit. CASHe is one of the platforms which let you take app only loans. It provides short-term loan based on the algorithm called as “Social Loan Quotient”, which is completely different from the old-fashioned banks and credit agencies.